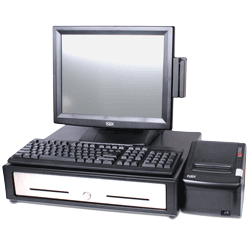 Streamline your operations with a professional Point of sale system. POS systems greatly increase operating efficiency and can handle multiple business tasks from employee management, inventory, to order and payment management, in a single location. Clover POS is a low cost tablet based POS system by First Data. Clover offer a multitude of advanced features and an app marketplace where additional programs and functionality can be added to the base POS system.